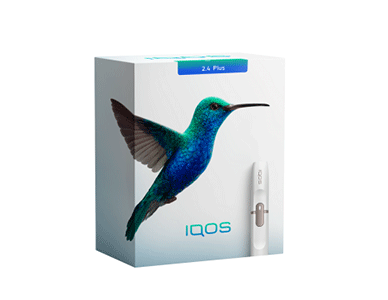 The Latest IQOS 2.4 Plus Heating Device! Enjoy full Heat Not Burn Experience. True alternative for adult smokers. 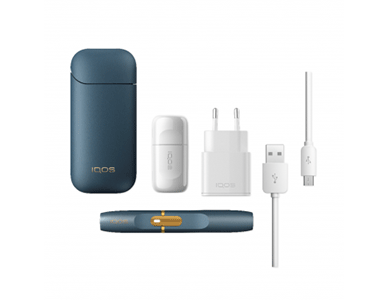 IQOS, designed in Switzerland, is the first of a range of potentially reduced-risk alternatives to cigarettes PMI has been working on over a decade. A lot of time and resources have gone into developing it, to get it as close to the real smoking experience as possible. True alternative for adult smokers. IQOS, designed in Switzerland, is the first of a range of potentially reduced-risk alternatives to cigarettes PMI has been working on over a decade. A lot of time and resources have gone into developing it, to get it as close to the real smoking experience as possible. Using it is simple, efficient and satisfying. 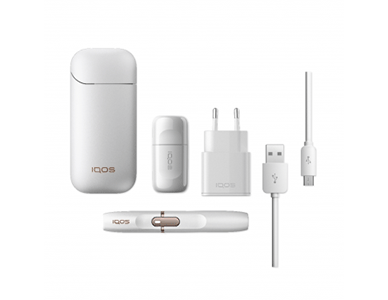 IQOS is potentially less harmful than cigarettes. Aerosol generated by IQOS has got a lower concentration of toxins and emits an average of 90-95% lower levels of harmful and potentially harmful compounds compared to cigarette smoke with the similar level of nicotine. This is a real revolution! IQOS offers additional benefits such as no smoke, no ash, and less smell. Aerosol present while using IQOS escapes faster than cigarette smoke. Using IQOS is simple, efficient and satisfying. It uses an electric heat source to heat tobacco at precisely controlled temperatures below combustion levels. This tobacco heating system is used with specific tobacco sticks called HEETS or HeatSticks. The Heatsticks themselves are a highly engineered product, with a proprietary blend of tobacco/flavorings/excipients that produce a vapor when heated. The holder, into which the heated tobacco unit is inserted, heats the tobacco via an electronically controlled heating blade. The blade simultaneously heats the tobacco to temperatures up to 350°C, hot enough to release a vapour but not to cause combustion. It also has an over-heating protection mechanism, which turns itself off if necessary. The holder supplies heat to the heated tobacco unit via the heating blade for six minutes or 14 puffs, whichever comes first. Vibration begins and light pulses when you press and holds the Heating Button. This indicates the beginning of the experience (that you can enjoy a tobacco stick for 6 minutes or 14 puffs whichever comes first). Auto cleaning cycle cannot be manually activated any more. Auto cleaning happens automatically every 20 charges, after the Holder has finished its charging process. During auto cleaning, the user will observe a longer charging process of the Holder (recharge – cleaning – recharge) = constant pulsing of white lights. The Holder Heater Blade Cleaning Button has been replaced by the Bluetooth button. The only cleaning function the consumer should focus on is that of manual cleaning ritual, via the IQOS Cleaner and IQOS Cleaning Sticks. The App is only available on Android: o Full support on Android 4.3 (Jelly Bean) and higher o Version for iOS devices is not available and there is no set date for its availability.